Also called battery or battery (battery in English), it is the source of energy necessary for the operation of the different systems. Their particularity is to be rechargeable according to cycles Charge / discharge whose number is variable and predefined by the manufacturers. There are batteries of different internal chemistries, the best adapted to the vape are the IMR, Ni-Mh, Li-Mn and Li-Po. How to read the name of a battery? 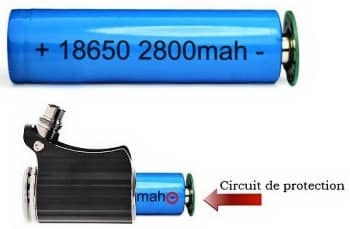 If an 18650 battery is used as an example, the 18 represents the diameter in millimeters of the battery, the 65 its length in millimeters and the 0 its shape (round). Official term of the "steam" that we produce by steaming. It consists of Propylene Glycol, Glycerin, Water, Flavors and Nicotine. It evaporates into the atmosphere in about fifteen seconds unlike the cigarette smoke that settles and releases the ambient air in 10 minutes ... ..by puff. Independent Association of Electronic Cigarette Users (http://www.aiduce.org/), the official voice of vapers in France. It is the only organization that can thwart the destructive projects of Europe and the French state for our practice. To counter the PDT (so-called "anti-smoking" directive, which cuts off the vape more than tobacco), the AIDUCE will initiate a legal procedure, relating to the transposition of the European directive into national law, particularly against the 53 article. English expression which designates the lights by which the air will engage during an aspiration. These vents are located on the atomizer and can be adjustable or not. Literally: airflow. When the suction vents are adjustable, it is called air-flow adjustment because we can modulate the air supply until the complete closure. Air-flow greatly influences the taste of an atomizer and the volume of vapor. There are several types of atomizers: drippers, genesis, cartomizers, clearomizers, some atomizers are repairable (we speak of atomizers rebuildable or rebuildable in English). And others, whose resistance must be periodically changed. Each of the types of atomizers mentioned will be described in this glossary. Abbreviated: Ato. Whether nicotine or non-nicotine products used in the preparation of liquids in DiY, the bases may be 100% GV (vegetable glycerin), 100% PG (propylene glycol), they are also proportionate to the ratio values ​​PG / VG as 50 / 50, 80 / 20, 70 / 30 ...... by convention the PG is first announced, unless explicitly stated otherwise. From English BOttom Coil Clearomizer. It is an atomizer whose resistance is screwed to the bottom of the system close to the connection + of the battery, the resistor serving directly to the electrical contact. Generally replaceable at rates contained, there are single coil (a resistance) or double coil (two resistors in the same body) or more (very rare). These clearomizers have replaced the generation of clearos with falling wicks to feed the liquid resistance, now the BCC bathe until the complete emptying of the tank and provide a warm / cold vape. 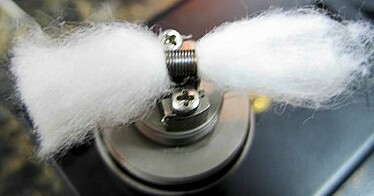 Bottom Dual Coil, a BCC but double coil. In general, they are disposable resistors that equip the clearomizers (we can nevertheless manage to remake oneself with good eyes, tools and materials adapted and fine fingers ....). It was a technical evolution today not very used in the current vape. 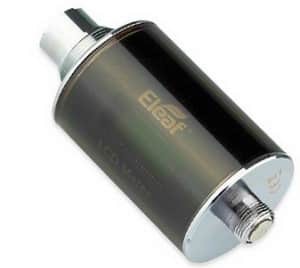 This is a device that hosts an atomizer of any type whose particularity is to be filled by the connection which it is equipped. 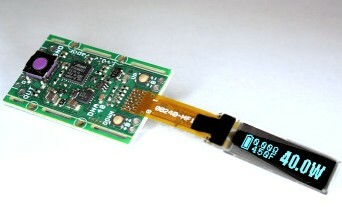 This device also hosts natively a flexible vial directly included in the battery or mod (rarely separated from the battery but it exists through a bridge). The principle is to feed ato liquid by propelling a dose of juice by pressure on the vial ...... The assembly is not really practical in a situation of mobility, so it has become rare to see it work. It is mostly found in cartomizers but not exclusively. 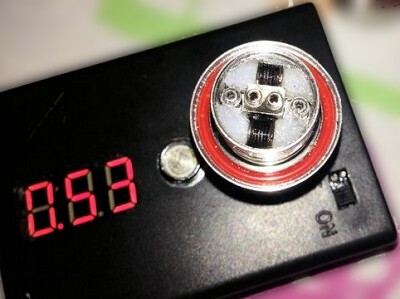 It is the capillary element of the cartos, cotton or synthetic material, sometimes braided steel, it allows autonomy of vape by behaving like a sponge, it is directly crossed by the resistance and ensures its supply of liquid. Francization of the English word known to pinball enthusiasts ...... For us it is just a question of increasing the proportion of flavors in a DiY preparation according to the VG content of the base. Knowing that the higher the proportion of VG is important in and less the aromas are noticeable taste. A tool to retain the carto of the tank in order to sufficiently draw it to fill it without risk of leakage. It is a tool for easily drilling unscrewed cartomizers or enlarging holes in pre-drilled cartomizers. The carto abbreviated. It is a cylindrical body, usually terminated by an 510 connection (and a profiled base) containing a wad and a resistor. It can directly add a drip tip and vap after loading, or combine with a Carto-tank (tank dedicated to cartos) to have more autonomy. The carto is a consumable difficult to repair, so we must change periodically. (Note that this system starts and that this operation conditions its proper use, a bad primer leads directly to the trash!). 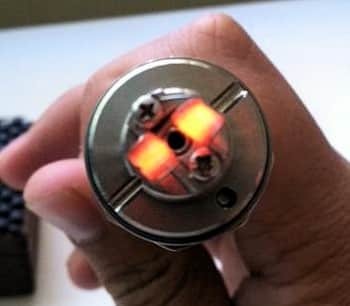 There are single or double coil. The rendering is specific, very tight at the air-flow and the steam generated is generally warm / hot. The "vape on carto" is losing momentum now. Abbreviation of short circuit when talking about electricity. Short circuit is a relatively common phenomenon that occurs when positive and negative connections are in contact. Multiple causes can be at the origin of this contact (filing under the connector of the ato during a drilling of "air-hole", "positive leg" of the coil in contact with the body of the ato .... ). At the DC, the battery will heat up very quickly, so you have to react quickly. Owners of mod mecha without battery protection are the first concerned. The consequence of a DC, in addition to possible burns and the melting of material parts, is the deterioration of the battery that will make it unstable when charging or completely unrecoverable. In any case, it is advisable to dispose of it (for recycling). Or Maximum Discharge Capacity. It is a value expressed in Ampere (symbol A) specific to the batteries and batteries. The CDM given by the battery manufacturers determines the discharge possibilities (peak and continuous) safely for a given resistance value and / or to make the best of the electronic regulation of mods / box electros. The batteries whose CDM is too weak will heat up for use in ULR in particular. In French: action of vaper continuously, on 7 15 seconds by a succession of puffs. Often electronically limited on electronic mods between 15 seconds, this mode of vape is common on a set-up consisting of a dripper and a mod mecha (but also with tank atomizers) as soon as we have Accumulators supporting prolonged continuous discharge and proper mounting. By extension, the Chainvaper is also the one who never loose his mod and consumes his "15ml / days". He is constantly steaming. Thread cap in English is the volume in which the heated liquid and the sucked air mix, also called chimney or atomizing chamber. In the clearomizers and RTA, it oversees the resistance and isolates the liquid in the tanks. Some drippers are equipped in addition to the top cap, otherwise it is the top cap itself that serves as a heating chamber. The advantage of this system is to promote the recovery of flavors, to avoid too rapid heating of the atomizer and to contain the projections of boiling liquid due to the heat of the resistance that could be sucked. 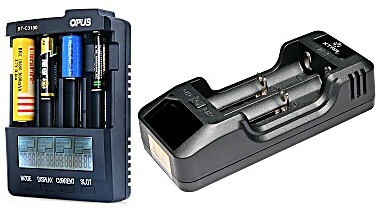 It is the essential tool for the batteries that it will allow to recharge. Particular attention must be paid to the quality of this device if you want to keep your batteries for a long time, as well as their initial characteristics (discharge capacity, voltage, autonomy). The best chargers offer functions of status indicator (voltage, power, internal resistance), and have the function "refresh" which manages one (or more) cycles of discharge / charge taking into account the chemistry of the batteries and the critical discharge rate, this operation called "cycling" has a regenerating effect on the performance of your batteries. Electronic module for regulating and managing the electrical flow from the battery to the output of the flow through the connector. Accompanied or not with a control screen, it is usually equipped with basic security functions, the switch function and power and / or intensity regulation functions. Some also include a charging module. This is the characteristic equipment of mods electros. The current chipsets now allow to vape in ULR and deliver powers up to 260 W (and sometimes more!). Also known as the diminutive "Clearo". 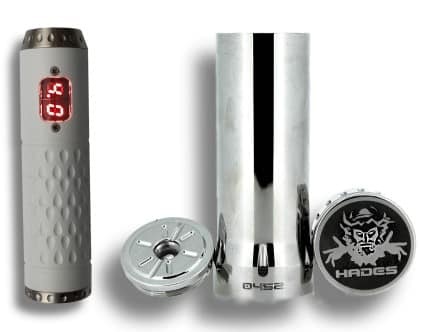 The latest generation of atomizers, it is characterized by a generally transparent tank (sometimes graduated) and a replaceable resistance heating system. The first generations included a resistance placed at the top of the tank (TCC: Top Coil Clearomiseur) and wicks dipping in the liquid on both sides of the resistance (Stardust CE4, Vivi Nova, Iclear 30 ... ..). We still find this generation of clearomizers, appreciated by fans of hot steam. The new clearos have adopted the BCC (Protank, Aerotank, Nautilus ....), And are better and better designed, especially for the adjustment of the amount of air drawn. This category remains a consumable insofar as it is not possible (or difficult) to redo the coil. Mixed clearomizers, combining ready-made resistance and the possibility of making one's own resistance begin to appear (Subtank, Delta 2 ...). Instead, we talk about repairable or rebuildable atomisers. The vape is lukewarm / cold, and the draw is often tight even if the latest generation of clearomizers also develops prints open or very open. Or "style". Is a copy of an atomizer or an original mod. Chinese manufacturers are by far the main suppliers. Some clones are pale copies both technically and vape quality, but there are also often well-made clones that users are happy with. Their price is of course far below the rates requested by the original creators. As a result, it is a very dynamic market that allows everyone to acquire equipment at a lower cost. The other side of the coin is: the working conditions and the remuneration of the workers who mass produce these products, the near impossibility of being competitive for the European manufacturers and therefore of developing the corresponding job and the obvious theft of work research and development of original creators. In the "clone" category, copies of the counterfeits are discernible. A counterfeit will go so far as to reproduce the logos and mentions of the original products. A copy will reproduce the form factor and the operating principle but will not fraudulently display the name of the creator. English term meaning "cloud hunt" which illustrates a specific use of materials and liquids to ensure the maximum production of steam. It has become a sport across the Atlantic: producing as much steam as possible. The electrical constraints required to do this are greater than those of Power Vaping and require excellent knowledge of its hardware and mounting resistors. To advise absolutely to the primo-vapoteurs. English term for resistance or heating part. It is common to all atomizers and can be purchased complete (with the capillary) as for clearomizers, or in coils of resistive wire that is wound up to equip our atomizers at our convenience in terms of resistance value . The coil-art come from the USA, gives rise to montages worthy of true functional works of art which one can admire on the Internet. This is the part of the atomizer that is screwed to mod (or battery or box,). The norm that tends to prevail is the 510 connection (not: m7x0.5), there is also the eGo standard (not: m12x0.5). 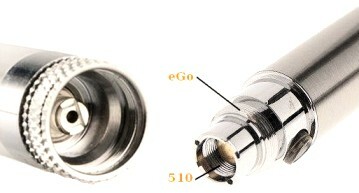 Consisting of a screw pitch dedicated to the negative pole and a positive contact (pin) isolated and very often adjustable in depth, on the atomizers it is of male design (bottom-cap), and on mods (top-cap) female design for optimum nesting. This is what happens with an IMR technology battery during a prolonged short circuit, (a few seconds may be sufficient), the battery then releases toxic gases and an acidic substance. 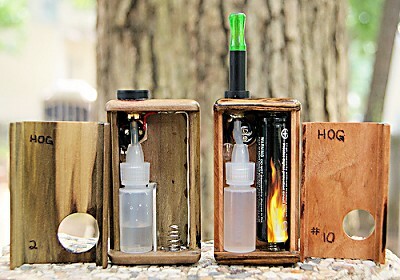 The mods and boxes that contain the batteries have one (or more) vent (hole) degassing to allow these gases and this liquid to be released thus avoiding a possible explosion of the battery. Do it Yourself is the English D system, it applies to e-liquids that we make ourselves and hacks that we adapt to its material to improve or personalize ...... Literal Translation : " Do it yourself. " The tip that allows suction from the atomizer where it is attached, they are innumerable in forms and materials as well as sizes and usually have an 510 base. 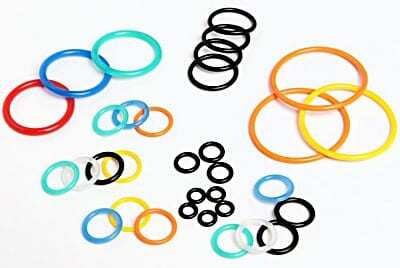 They are held by one or two O-rings that seal and hold on the atomizer. The diameters of aspirations may vary and some fit on the top cap to offer not less than 18 mm useful suction. 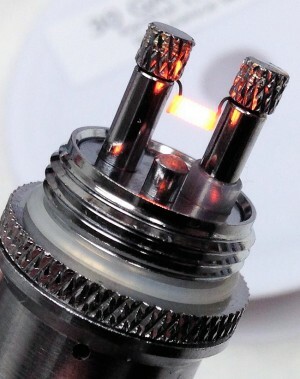 Important category of atomizers whose primary feature is to vape "live", without intermediary, the liquid is directly poured on the coil, so it can not contain much. Drippers have evolved and some now offer more interesting vape autonomy. There are some mixed because they offer a reserve of liquid with a pumping system for its food. It is in most cases a rebuildable atomizer (RDA: Rebuildable Dry Atomiser) which we will modulate the coils to draw the desired vape in both power and rendering. To taste liquids it is very popular because its cleaning is easy and just change the capillary to test or vape another e-liquid. It offers a hot vape and remains the atomizer with the best rendering of flavors. This is the difference in voltage value that is obtained at the output of the mod connector. The conductivity of the mods is not constant from one mod to another. In addition, in the long run, the material gets dirty (threads, oxidation), resulting in a loss of voltage at the output of the mod while your battery is him, well charged. A difference of 1 volt can be observed depending on the design of the mod and its state of cleanliness. A drop-volt of 1 or 2 / 10e of volt is normal. Similarly, the drop volt can be calculated when the mod is associated with an atomizer. By imagining that the mod sends 4.1V measured at the direct output of the connection, the same measurement with an associated atomizer will be lower since the measurement will also take into account the presence of the ato, the conductivity of the latter as well as the strength of materials. It is the result of a dry vape or not supplied with liquid. A frequent experiment with drippers whose quantity of juice can not be seen remaining in the atomizer. The impression is unpleasant ("hot" or even "burning" taste) and involves an urgent replenishment of liquid or signals an unsuitable assembly that does not offer the necessary capillarity to the flow rate imposed by the resistance. Abbreviation of electronic cigarette. Generally used for thin models, not exceeding a diameter of 14 mm, or for disposable vacuum sensor models rarely used today. It is the liquid of vapors, composed of PG (propylene glycol) of VG or GV (vegetable glycerin), aromas and nicotine. It can also meet additives, dyes, water (distilled) or unmodified ethyl alcohol. You can prepare it yourself (DiY), or buy it all done. 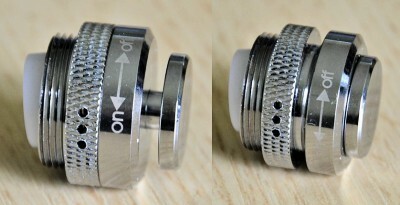 Connection standard for atomizers / step clearomizers: m 12 × 0.5 (in mm with 12 mm height and 0,5 mm between 2 threads). This connection requires an adapter: eGo / 510 to adapt to mods when they are not already equipped. Cord made of braided silica fibers (silica) which exists in several thicknesses. It serves as a capillary under different assemblies: sheath for threading a cable or a cylinder mesch (atomizers genesis) or crude capillary around which is wound resistive wire, (drippers, rebuildable) its properties make it a material often used because it does not Consumes no (like cotton or natural fibers) and does not dissipate a spurious taste when it is clean. It is a consumable that must be regularly changed to enjoy the flavors and avoid the dry hits due to too much residue clogging the passage of the liquid. It is with the resistive wire that one manufactures its coil. The resistive son have the particularity of opposing a resistance to the passage of the electric current. In doing so, this resistance has the effect of causing a heating of the wire. 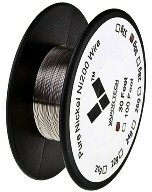 There are several types of resistive wires (Kanthal, Inox or Nichrome are the most used). On the contrary, the non-resistive wire (nickel, silver ...) will let the current flow without constraint (or very little). It is used welded to the "legs" of the resistor in the cartomizers and in the resistors BCC or BDC in order to preserve the insulator of the positive pin which would be quickly damaged (unusable) because of the heat released by the resistive wire when this one it goes through it. This montage is written NR-R-NR (Non-Resistive - Resistive - Non-Resistive). 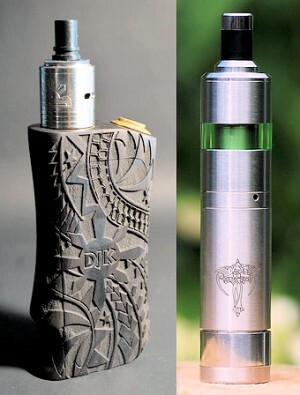 Is said of a set mod / atomizer of the same diameter which, once assembled do not leave space between them. Aesthetically and for mechanical reasons it is better to get a flush mount. The atomizer genesis has the distinction of being fed from the bottom compared to the resistance and its capillary is a mesh roll (metal foil of different frame sizes) that crosses the tray and quenched in the juice reserve. At the high end of the mesh is wound resistance. It is often the subject of transformations on the part of users passionate about this type of atomizer. Requiring a precise and rigorous assembly, it remains in good position on the scale of the quality of vape. This is of course a rebuildable, and its vape is warm-hot. 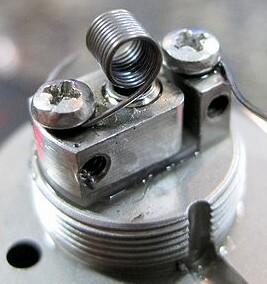 It is found in single or double coils. Or Glycerol. 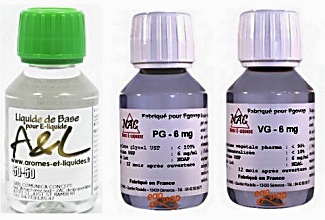 Of vegetal origin, it is written VG or GV to differentiate it from propylene glycol (PG), the other essential component of the bases of the e-liquid. Glycerin is known for its moisturizing, laxative or hygroscopic skin properties. For us, it is a viscous liquid transparent and odorless slightly sweet taste. Its boiling point is 290 ° C, from 60 ° C it evaporates in the form of the cloud that we know. The notable feature of glycerine is to produce a volume of "vapor" denser and consistent than the PG, while being less effective at rendering flavors. Its viscosity fouls the resistances and the capillary faster than the PG. Most of the e-liquids of the trade proportionally equal these 2 components one speaks then of 50 / 50. ATTENTION: there is also glycerine of animal origin whose use is not recommended in the vape. The inaccessible and yet much sought after balance between liquid and material, for a heavenly vape ... .. It is of course, unique to each of us and can not be imposed on anyone. In French: strong discharge capacity. It is said of the batteries supporting a strong discharge continuously (several seconds) without heating or undergo deterioration. With sub-ohm vap (below 1 ohm) it is strongly recommended to use high drain batteries (from 20 Amps) with stable chemistry: IMR or INR. I will repeat here the superb definition of Dark on the forum A & L: "The" Hit "is a neologism par excellence of the lexical field of the electronic cigarette. It refers to the contraction of the pharynx as for a real cigarette. The more this "hit" is important, the more the sensation of smoking a real cigarette is important. "… not better ! The hit is obtained with the nicotine present in liquids, the higher the rate, the more the hit is felt. There are other molecules that can create a hit in an e-liquid like Flash but they are not often appreciated by the vapers who reject the brutal and chemical aspect. 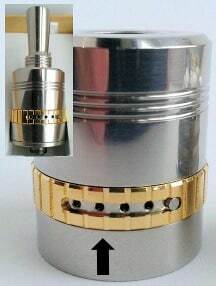 This is a way of mounting its equipment, which diminishes the length by proposing to integrate the mod atomizer by a top cap of minimum thickness leaving a direct connection with the battery. Some moders offer mod / ato hybrids perfectly adapted on an aesthetic level. Also said vapers who continue to smoke while having the vape and are found in a transitional period, or make the choice to continue smoking while vaping. It also exists in a flat form (ribbon or ribbon in English): the flat A1 for example. It is a resistive wire very used to make the coils by its qualities of fast heating and its relative solidity in the time. 2 types of Kanthal interest us: A and D. They do not have the same proportions of alloy and do not have the same physical properties of resistance. Multi-function electronic device for mods mecas. 20mm diameter for 20mm thick, this module can secure its vape through functions such as breaking in the presence of short-circuit power modulation from 4 to 20 watts depending on the model. It fits into the mod (in the right direction) and will also cut when the battery is too discharged. It is often necessary with a kicker to use shorter ones (18500) to allow its insertion and to close the different parts of the mod. Kick ring, part of a mod mecha that allows the addition of a kick to the tube receiving the battery, regardless of its size. Or diesel effect. This is the time that the resistance to fully heat that can be longer or shorter depending on the state or performance of the battery, the power required by the resistance / resistance and to a lesser extent the quality the conductivity of all the equipment. Abbreviation of Low Resistance in English, low resistance. Around 1Ω, we speak of LR, beyond 1,5 Ω, we consider this value as normal. Type of battery / rechargeable battery chemistry uses lithium. Apparently obsolete concept that governments, Europe, industrial producers of cigarettes and pharmacology stubbornly deny the vapers for reasons probably financial. The freedom of vaping should, if we do not remain vigilant, be as rare as a neuron in the head of a hooligan. Abbreviation of micro-coil. Very widely used in reconstructible atomizers because easy to make, it does not exceed 3 mm long in the tubes of disposable resistors for a maximum of 2 mm diameter. The turns are tightened against each other in order to increase the heating surface (see coil). A wire-like foil with a very thin weft, it is rolled into a cylinder of 3 3,5 mm that fits through the plate of a genesis atomizer. It serves as a capillary for the rise of the liquid. It is necessary to carry out an oxidation before its use, obtained by heating a few seconds the roller with the red (with the orange would be more exact). This oxidation makes it possible to avoid any short circuit. Different meshes are available as well as various qualities of metal. Or false contact in French). This English term means a problem of powering the system, a bad contact between the button of "firing" and the battery is often the cause for mods mecas. 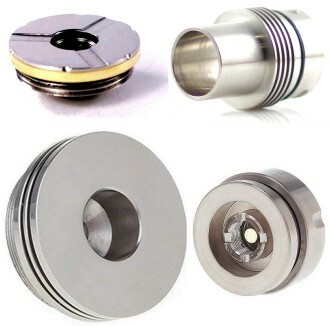 For the electros, this can come from a wear of the button and in a general way of the consequences of leaks of liquid (non-conducting) often at the level of the positive pin of the top-cap of the mod and the positive pin of the connector of the atomizer. Derived from the English term "modified", it is the instrument that holds the electrical energy needed to heat the resistance of the atomizer. It consists of one or more conductive tubes (at least inside), an on / off button (usually screwed to the bottom of the tube for many mecas), a top cap (top cover screwed to tube) and for some mods electro, an electronic control head that also and among others, office switch. Mech in English is the simplest mod by design and use (when you have good knowledge of electricity). In tubular version, it consists of a tube that can accommodate a battery whose length varies depending on the battery used and the use or not of a kick. It also consists of a bottom cap ("cap" lower cap) usually used for the switch mechanism and its locking. The top cap closes the assembly and allows to screw the atomizer. For non-tubular mods, see Mod-box section. Telescopic versions allow the insertion of any battery length of the intended diameter. There are also mechs whose switch is positioned laterally, in the lower part of the mod. We sometimes speak of "Pinkie Switch"). The most used batteries today are 18350, 18490, 18500 and 18650. The tubular mods that can accommodate them are therefore between 21 and 23 diameter with some rare exceptions. But there are mods using 14500, 26650 and even 10440 batteries. The diameter of these mods varies of course depending. The materials that make up the body of the mod are: stainless steel, aluminum, copper, brass, and titanium for the most common. Because of its simplicity, it never breaks down as long as its components and conductivity are properly maintained. Everything happens live and it is the user who manages the power consumption, so the time to recharge the battery. Generally not recommended for neophytes, mod Meca does not pretend to be among the electronic cigarettes that he does not share ...... electronics precisely. This is the last generation of mod. The difference with the mech lies in an embedded electronics that will manage all the features of the mod. Of course, it also works with a battery and it is also possible, in the same way as mods tubular mullets, to modulate the length according to the desired size but the comparison stops there . Sometimes when the maximum permissible internal temperature is reached. The remaining battery life in the battery. To adjust the power or the voltage of vape. (vari-wattage or vari-voltage). The tubular electro mod exists in several diameters and is available in various materials, form factor and ergonomics. We are talking about a non-tubular appearance mod that looks more or less like a box. It can be "full méca" (mechanical total), semi-mechanics or electro, with one or more batteries on board for more autonomy and / or more power (series or parallel installation). The technical characteristics are comparable to those of other mods but they generally deliver more power depending on their chipset (embedded electronic module) up to 260W or more depending on the model. They support resistor values ​​close to the short-circuit: 0,16, 0,13, 0,08 ohm! There are different sizes, and the smaller ones sometimes have an integrated proprietary battery, which means that you can not theoretically change them unless you can access and replace the battery, but we're talking about DIY, the mod is not made for. Creative mod craftsman, most often in limited series. It also creates atomizers aesthetically compatible with its mods, a generally neat bill. Handmade mods such as e-pipes are often beautiful works of art and, for the most part, unique objects. In France, there are mods mechanics and electros whose creations are acclaimed by the amateurs of functional originality. 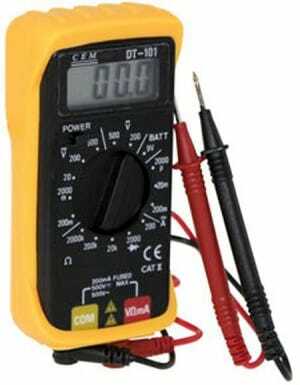 Portable device for electrical measurements. Analogue or digital, it can inexpensively inform you with sufficient accuracy on the resistance value of the atomizer, the remaining charge in your battery, and other intensity measurements, for example. A tool often indispensable to the diagnosis of an invisible electrical problem and very useful for uses other than the vape. The smallest of micro-coils, with a diameter of about 1 mm, or less, it is intended for disposable resistors of the clearomizers when we want to redo them or to achieve a dragon coil (a sort of vertical coil around which the capillary fiber is positioned). Alkaloid naturally present in tobacco leaves, released as a psychoactive substance by burning cigarettes.  It is given addictive properties stronger than in reality, while it is only combined with substances artificially added by tobacco companies that it accentuates its addictive power. Nicotine addiction is more the result of a carefully maintained disinformation than a metabolic reality. It is also true that this substance is dangerous in high doses, even fatal. The WHO defines its lethal dosage between 0.5 g (ie 500 mg) and 1 g (ie 1000 mg). Our use of nicotine is very framed and its pure sale is prohibited in France. Only nicotine bases or e-liquids are allowed for sale at a maximum of 19.99 mg per ml .. The hit is caused by nicotine and our body expels it in about thirty minutes. In addition, combined with certain flavors, it is a flavor enhancer. Some vapers happen to do without a few months while still vape e-liquid containing no nicotine. It is said that they steam in no. Organic Cotton Coil, which uses cotton (flower) as a capillary, adopted by manufacturers, is now also produced for clearomizers in the form of replaceable resistors. Symbol: Ω. It is the coefficient of resistance to the passage of the electric current of a conducting wire. Resistance, when it opposes the flow of electrical energy, has the effect of heating, which allows the evaporation of the e-liquid in our atomizers. Between 0,1 and 1Ω for the sub-ohm (ULR). Between 1 and 2.5Ω for "normal" operating values. Above 2.5Ω for high resistance values. Or U is the voltage expressed in volts, R the resistance expressed in ohms and I the intensity expressed in amperes. Each equation gives the desired value (unknown) according to known values. Note that there is also an internal resistance specific to the batteries, on average 0,10Ω, it rarely exceeds 0,5Ω. Resistance value measuring apparatus specially made for the vape. It is equipped with 510 and eGo connections, either on a single pad or on 2. When one remakes his coils, it is essential to be able to check the value of his resistance especially to vape in full méca. 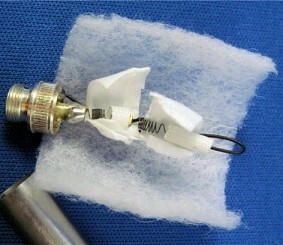 This inexpensive tool also allows to "stall" his ato to facilitate assembly. English term for O-ring. 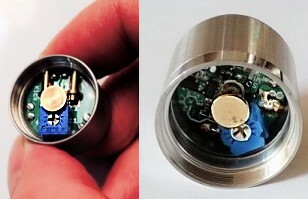 The orings equip the atomizers to help maintain the parts and the tightness of the tanks (tanks). The drip-tips are also maintained with these joints. English term for a contact (usually positive) present in the atomizer connector and in the top cap of mods. This is the lowest part of BCC resistance. It sometimes consists of a screw, and adjustable, or spring-loaded on the mods to ensure a flush appearance to the assembly. It is through the positive pin that circulates the electricity needed to heat the liquid. Another word for pin: the "plot", which will be either negative or positive depending on its location on the plateau of a rebuildable atomizer. Part of the rebuildable atomizer used to mount the coils. It is composed of a surface on which a positive and insulated pad usually appears in the middle and near the edge are arranged the negative pads. The resistances are passed through these studs (by lights or around the top are studs) and kept screwed. The connector ends in the lower part of the room, usually in stainless steel. English word meaning a way of vaping. This is a remarkable vape by the impressive amount of "steam" produced. To practice the power-vaping, it is necessary to make a specific assembly (ULR in general) on a atomizer RDA or RBA and to use the appropriate batteries. Fluids for PV are usually 70, 80, or 100% VG. PG is conventionally written, one of the two basic components of e-liquids. Less viscous than VG, the PG noticeably lessens resistance but is not the best "steam producer". Its main function is to restore the flavors / aromas of liquids and allow their urination in DiY preparations. 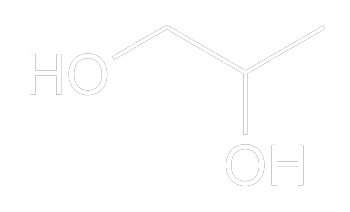 Fluid, colorless fluid, non-toxic when inhaled, propylene glycol is used in many products of the food industry, but also products of the pharmaceutical, cosmetic, aeronautic, textile .... It is an alcohol with the abbreviation E 1520 is found on the labels of food and industrial food preparations. Set mod plus atomizer plus drip-tip. Francization of the English verb to stack: pile up. Action to superimpose two batteries in series in a mod. Generally, we use 2 X 18350, which will double the value of the output voltage. An operation to be carried out in full knowledge of the possible consequences in the event of error of assembly on the atomizer, reserved for the persons who master the electrical physics and the characteristics of the different chemistries of the batteries. Anglicism which corresponds to a phase of maturation DiY preparations where the vial is left to stand in the dark in a place at room temperature or cool a few hours or a few days at the beginning of elaboration. Unlike "Venting" which is to let mature liquid-flask open. It is generally advisable to proceed with a fairly long phase of steeping and then a short phase of venting to finish. The venting time should not exceed a few hours. Beyond this term, the nicotine present oxidizes by losing its strength and the aromas evaporate. A mod or battery element used to turn the vape device on or off by pressure, it usually returns to the off position when released. The switches of the mech mods are locked (locked in English) for transport in the pocket or in a bag, the switches of the mods electros act by pressing a given number of times in a row to turn on or off the device (same for the batteries eGo eVod ....). English word meaning tank which are equipped with all the atomizers with the exception of the drippers which one must frequently reload. The tanks have a reserve of liquid up to 8ml. They are found in various materials: Pyrex, stainless steel, PMMA (a polycarbonate plastic). Tool of the appearance of a carto-tank (tank for cartomizer) which allows to visualize the remaining tension of your battery, the tension that sends your mod mecha and sometimes the value of your resistances and the equivalent in power. Some also determine the drop volt, which can be calculated from the theoretical charge of the full battery, by the difference in value of the load measured at the output of the mod, with and without atomizer. Can be translated by upper cap, it is the part of the atomizer that receives the drip-tip, and closes the assembly. 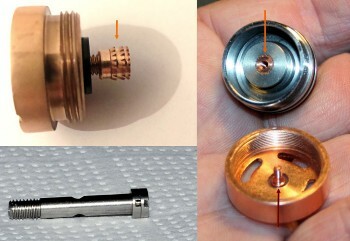 For the mods is the upper part with the thread (equipped with pin + insulated) to connect the atomizer. Ultra Low Resistance in English, ultra low resistance in French. When one vapes with a resistance value lower than 1Ω, one vape in sub-ohm. We vape in ULR when we descend even lower (around 0.5Ω and less. Vape reserved for dry atomizers or genesis, we meet today clearomiseurss studied for the vape ULR. It is essential to have high-drain batteries certified and to be able to assess the risks in case of improper assembly or too close to the short circuit. Circular fuse of small thickness which is arranged against the negative pole of the battery in mods mecas. It provides a power cut in case of short circuit, single use for less expensive, it can be effective several times for more expensive models. 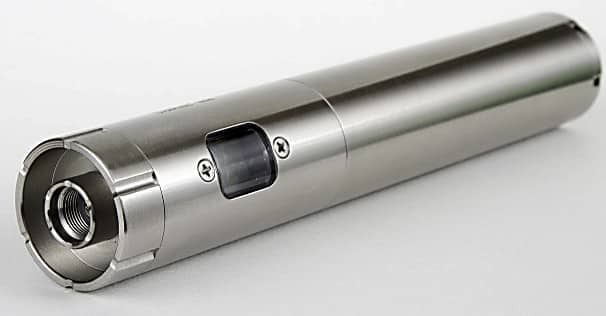 Without battery protected (by a fuse of this type built into the battery) and without kick, vape on a mod mecha is to "work without a net", the vape fuse is recommended to users of mecha, uninitiated or beginners. Another name of the e-cig, peculiar to the vape in all its forms. Verb meaning vape, but officially entered the vocabulary dictionary. Not always appreciated vapors (officially vapors) who prefer the word vaper, just as the vapors (vapers in English) prefer this term to vapers. Spire in French. The resistive wire with which we manufacture our coils is wound several times around an axis whose diameter varies from 1 to 3,5mm and each turn is a turn. The number of turns and the diameter of the coil obtained (which will be reproduced identically, during a double coil assembly) will have a given resistance value, depending on the nature and thickness of the wire used. Welding machine for mounting NR-R-NR. This is often a DIY from a disposable electronic card, the cradle for the battery, a contact added (for powering up and charging the capacitor) all finished, in place and place of the flash (deposited as useless), by 2 insulated cables (red + and black -) each equipped with a clamp. The zapper is capable of micro-welding between two very fine wires, without melting them and without bulges. Images and photographs that illustrate the definitions of the terms listed in this document have been collected on the internet, if you are legally the owner of one or more images / photographs and do not want them to appear in this document, contact an administrator who will remove them. Table chart of the correspondences Volts / Power / resistances for a compromise of vape allying security and longevity of the material. Table scale correspondence Volts / Power / resistances for a compromise of vape in sub-ohm allying security and longevity of the material. Table table of sub-ohm tolerated values ​​according to examples of commonly used batteries. (c) Copyright Vapelier OLF 2018 - Only the complete reproduction of this article is authorized - Any modification of any nature whatsoever is totally prohibited and violates the rights of this copyright.